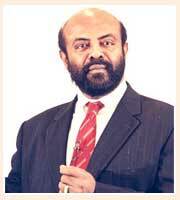 Shiv Nadar is the Chairman and Chief Strategy Officer of Hindustan Computers Limited (HCL), and is listed amongst the Forbes List of Indian billionaires. He belongs to Moolaipozhi Village, Trichendur, Tutocorin District of the state of Tamil Nadu, and shifted to Delhi in the year1968. He pursued the degree of engineering from PSG College of Technology. Nadar initially worked as an engineer with DCM Ltd., and later on with 6 colleagues initiated a firma manufacturing office products such as copiers. HCL under his leadership filled in the vacuum created by the stepping out of IBM from India in the 1970s, and ever since then there has been no looking back. He has been awarded Padma Bhushan for his noteworthy contribution to the IT industry. He is fondly nicknamed by friends as ‘Magnus’, which denotes wizard in Persian.